July held the end of everyday work schedules and the beginning of my days of lounging at my sister’s house in a wifi- and waiting-induced coma. I’ve watched stuff, I’ve read stuff, I’ve played stuff. I’ve rediscovered my love of going to the movies (and then re-rediscovered the fact that even though I love going to the movies, it’s really really hard to get through a terrible movie. *Cough Insurgent cough*. –Divergent– Ok, I just want to get one thing straight: I’m not a movie snob. Let’s get another thing straight: that sentence was a lie, but not a complete one. The thing is, it really doesn’t take much for me to ‘like’ a movie. Attractive people? Interesting-ish story? Dialogue that could pass for human speech? We’re in business. So when I say I ‘liked’ Divergent, to the movie snobs out there *cough Xander cough* it doesn’t mean I thought it was a good movie. It wasn’t. The book? Even worse. When you start off by sectioning the people into world into Categories and then making the main character part of the Category that is Unique, with the name as a literal synonym for different (*whispers Divergent*), you know you’re not in store for any good literature here. Have you read The Giver? Have you read The Hunger Games? Have you read Uglies? Have you read The Maze Runner? Have you read Insert YA Dystopian Here? Then you’ve read Divergent. There’s really no surprise here, it’s all the same, you can move on without losing a big part of your life. Hell, if I tell you the main characters names here (Four and Katniss-no-I-mean-Triss) you can probably hold lengthy conversations with Divergent fans without them noticing. That being said, the movie was alright. I liked it. It had action sequences, it had CGI that wasn’t terrible, it had Kate Winslet being a BAMF in a businesswoman suit. It had a forgettable main character who was, let’s be real, less angsty than Jennifer Lawrence in the Hunger Games. It was nice. See it if you want, don’t see it if you don’t want. You’re not missing anything, but your eyes won’t be gouged out by the Gods of Movies Quality if you happen to catch it on HBO Now. 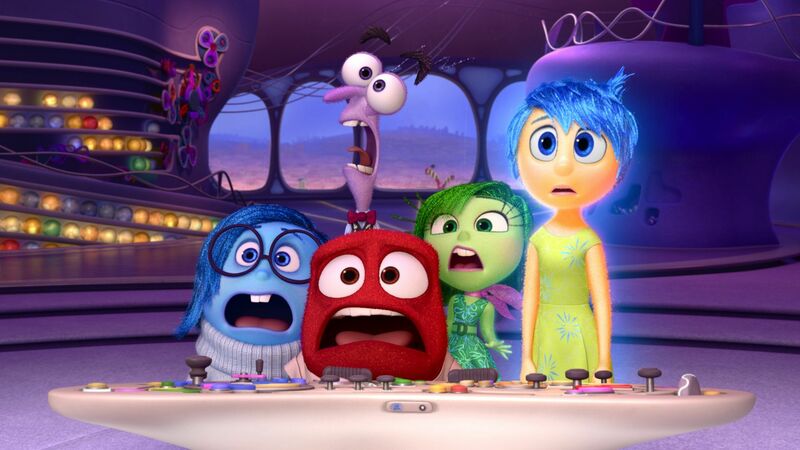 –Inside Out – 5 stars. Three thumbs way up. I laughed, I cried, I cried, I cried, I mostly cried… I’ve seen almost nothing but positive reviews for this, so let me just add to the pile: I loved this movie. I’ve never seen a more emotionally honest children’s film. And ok, maybe that’s cheating, because it’s literally about emotions anthropomorphized into quirky Pixar adorableness, but it’s just. It’s so good. The way they talk about depression, and happiness, and the need for emotional balance, and the way emotions can be both good and bad, and family and etc. etc. etc. etc. etc. I just loved it. Watch it. You’ll love it. Or you’re a heartless heathen with no soul. Then you’ll at least think it’s pretty. –Mad Max Fury Road- This was, and I want to be very clear about this, the most. stressful. cinema. experience. of. my. life. This includes that time in middle school where I walked into Saw IV on accident right as someone was falling into a pit of needles for no apparent reason other than, oh I don’t know, to make the audience projectile vomit more money at the franchise. Having not seen the other Mad Max films, I had no idea what to expect, but this movie was just gore+action+gore+grit+gore+gross stuff+ a little bit of heart. Like a Disney film, but take away everything happy about it and put the rest of it into a blender with a few rusty cars. See? It was so stressful I can’t even write about it. That being said, I did… enjoy it? I guess? I did, by the end I was definitely invested in the characters and I was satisfied at the triumphant ending. But the journey there? Never again. Never again I say. –Let’s Be Cops- This was… a movie. That I watched. Walker and I watched it together, after having already seen Tomorrowland and Mad Max and drinking. Maybe it was the drink, but I liked it. I wasn’t in love with it, obviously. It was at times slow as hell (which is weird, considering the whole time I was just waiting for them to get thrown into a federal prison for impersonating police officers and generally being big dumb morons…) But it was cute. I would suggest it for: people who can’t handle anything else stressful because their brains are too filled with cortisol after seeing Mad Max, but also don’t want to see Adventure Time for the tenth time because what babies do that? And also they wouldn’t load. I mean. What. -Bravest Warriors– Made by some of the Adventure Time creative team, Bravest Warriors is Adventure Time for adults. (Well, at least not-for-kids, since I know more adult AT fans than kid ones. Ok. You get it.) 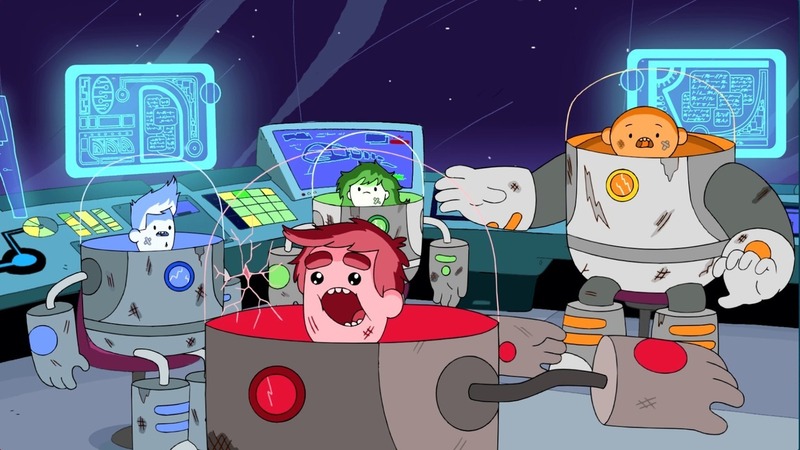 The Bravest Warriors are a team of crime fighting bffs that inherited their parents’ jobs of defending the universe from all kinds of space crazies. It’s adorable, it’s beautifully animated, it’s weird as hell. It’s FIVE STARS ALL AROUND. –Monument Valley– this iPad game is so beautiful. I finished it right before I watched Inside Out, actually, sitting in a Applebee’s by myself and solving the final puzzle was probably the most gratifying, relaxing, zen-like experience that has ever been had in an Applebee’s. This game is a series of M.C. Escher-inspired logic puzzles presented to the main character Ada on her quest to… achieve enlightenment? The actual endgame is a little confusing, though the end sequence tells a very interesting and beautiful visual story that wraps up the game in a fairly satisfying package. Recommended for: Dad. And anybody else that likes Escher, or logic, or beautiful graphics, or zen-like gameplay. Just play it. 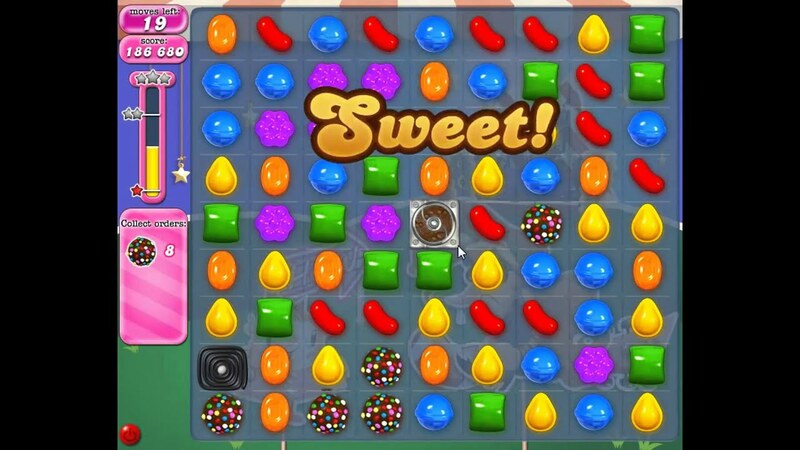 –Candy Crush -I know, I hate myself too. Sometimes when I have tired myself out but can’t fall asleep, or when I’m listening to an audiobook but don’t have anything else to occupy my hands, or when I’m… ok look, I just like these games. They’re stress relieving. And no, I don’t send invites or pay for extra lives. That’s just embarrassing. Book wrap-up coming soon! I know you’re on pins and needles waiting for it.